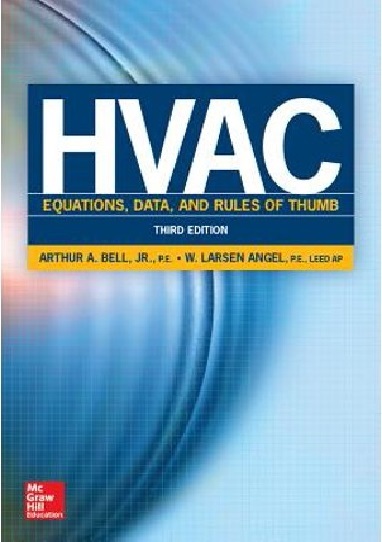 The heating, ventilation, and air conditioning (HVAC) equations, data, rules of thumb, and other information contained within this reference manual were assembled to aid the beginning engineer and designer in the design of HVAC systems. In addition, the experienced engineer or designer may find this manual useful as a quick design reference guide and teaching tool. The following pages compile information from various reference sources listed in Part 2 of this manual, from college HVAC class notes, from continuing education design seminars and classes, from engineers, and from personnel experience. This document was put together as an encyclopedic type reference in contract specification outline format where information could be looked up quickly, in lieu of searching through volumes of text books, reference books and manuals, periodicals, trade articles, and product catalogs. "A. Bell, Jr.," is a registered professional engineer with more than 15 years’ experience designing HVAC systems. Bell has also been involved in the design of plumbing systems, fire protection systems, and construction field engineering-mechanical systems. 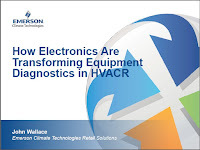 He has taught ASHRAE HVAC classes, as well as contractor training courses. A member of ASHRAE, ASPE, NFPA, AEI, and NSPE, he is a resident of Monaca, Pennsylvania.